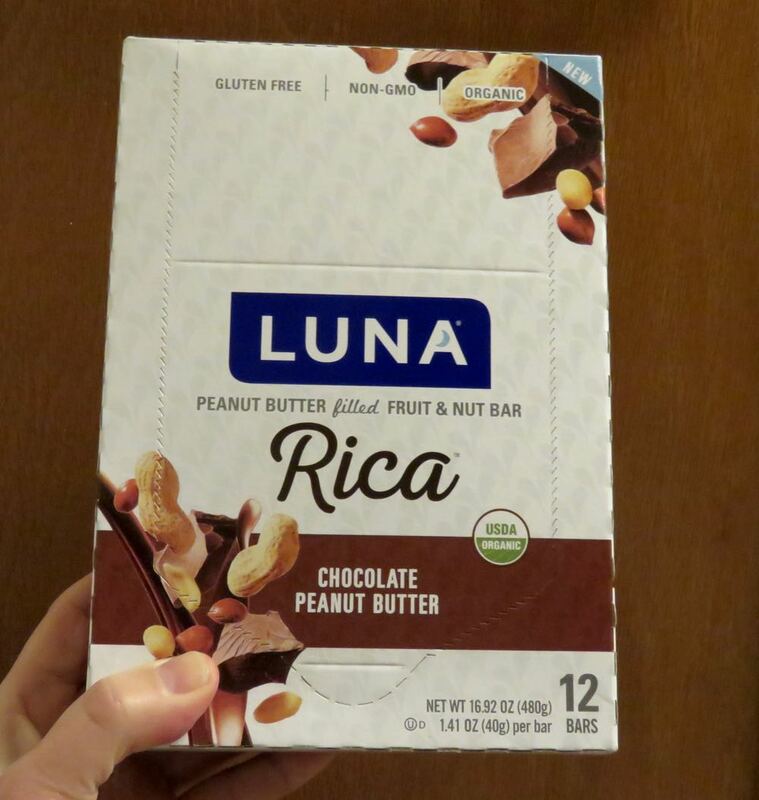 Welcome to Day #7 of Chocolate and Peanuts Theme Week, and Day #1 of Chocolate and Dates Theme Week. 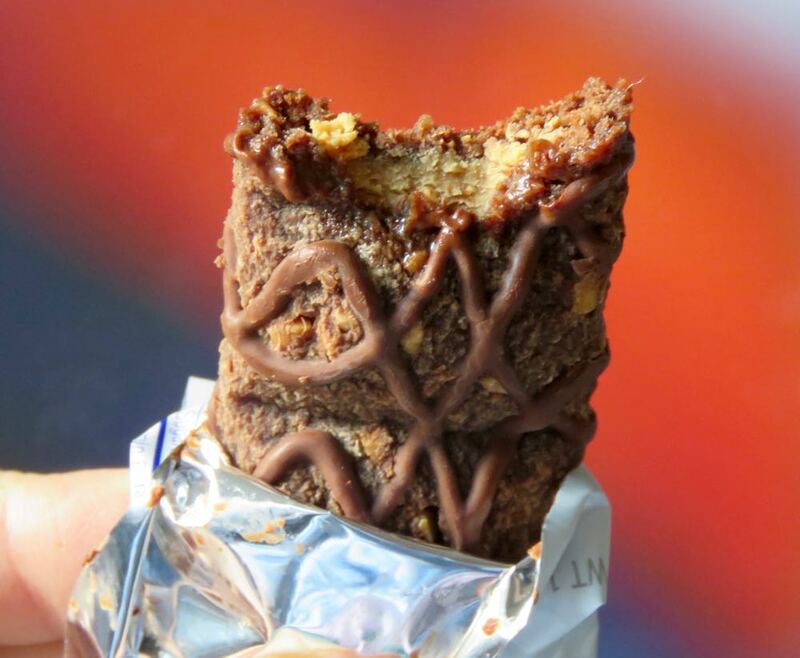 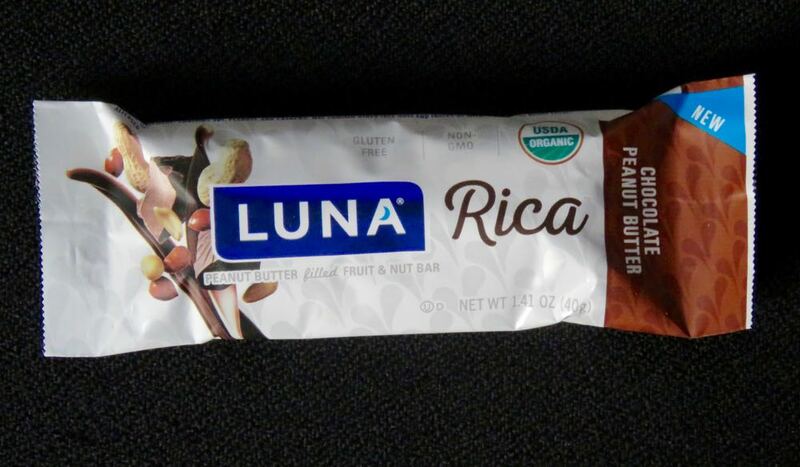 Today's Luna - Rica Chocolate Peanut Butter bar from Clif Bar and Company (Emeryville, CA) was a "Peanut Butter filled Fruit and Nut Bar." 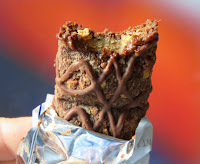 Dates (the first ingredient listed) helped give this bar a soft, chewy texture and dried fruit-flavor sweetness.